This was the seitan I came up with after reading countless recipes. It makes about 2 lbs. 1. 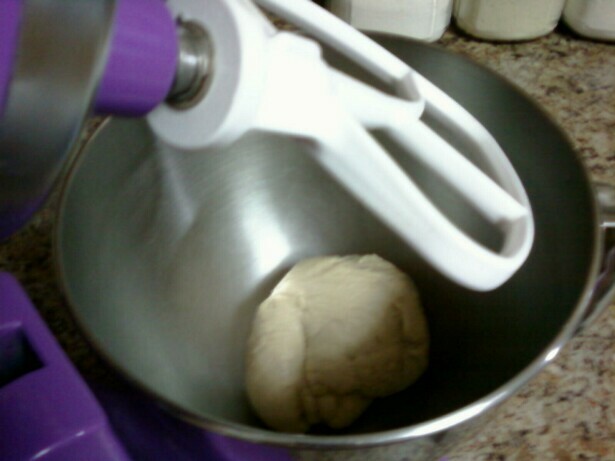 Mix wheat gluten and chickpea flour with the paddle attachment in a mixer, or with a fork in a mixing bowl. 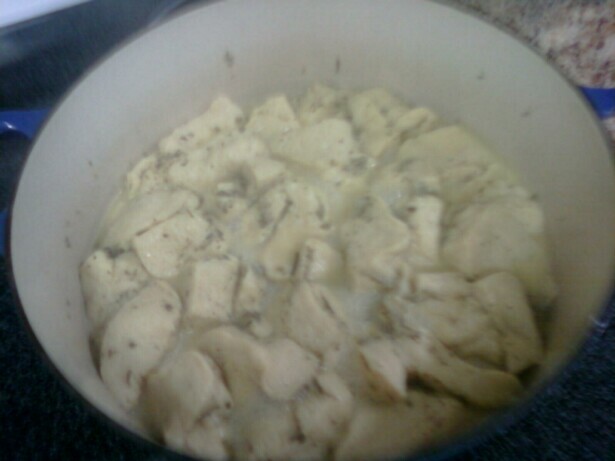 Slowly add in water, and dough ball will form. I used a stand mixer and just let it knead the dough for me while I finished getting the broth ready. This was probably about 10 minutes. If you’re kneading by hand, 5 minutes should suffice. 3. Bring a medium pot full of all the broth ingredients up to a boil, and drop in seitan pieces. 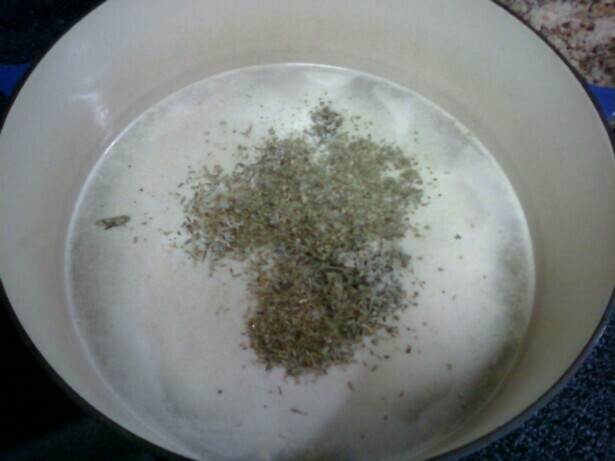 Cover and simmer for 45 minutes, stirring occasionally. 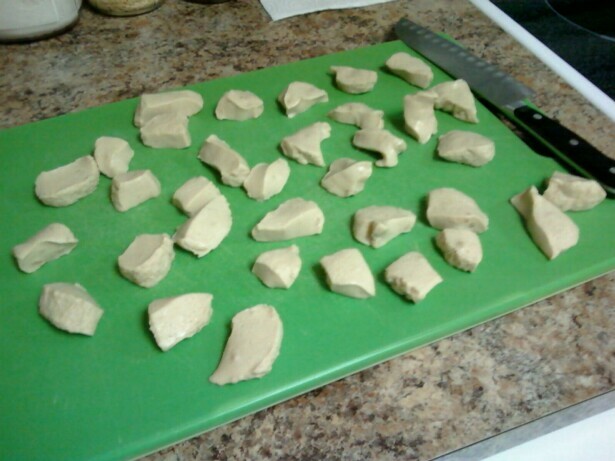 Let the seitan cool a bit before draining. If you’re not using it right away, you can keep it in the broth or drain it and put it in a tightly sealed container for the next day.